Miho Kajioka’s artistic practice is in principal snapshot based; she carries her camera everywhere and intuitively takes photos of whatever she finds interesting. 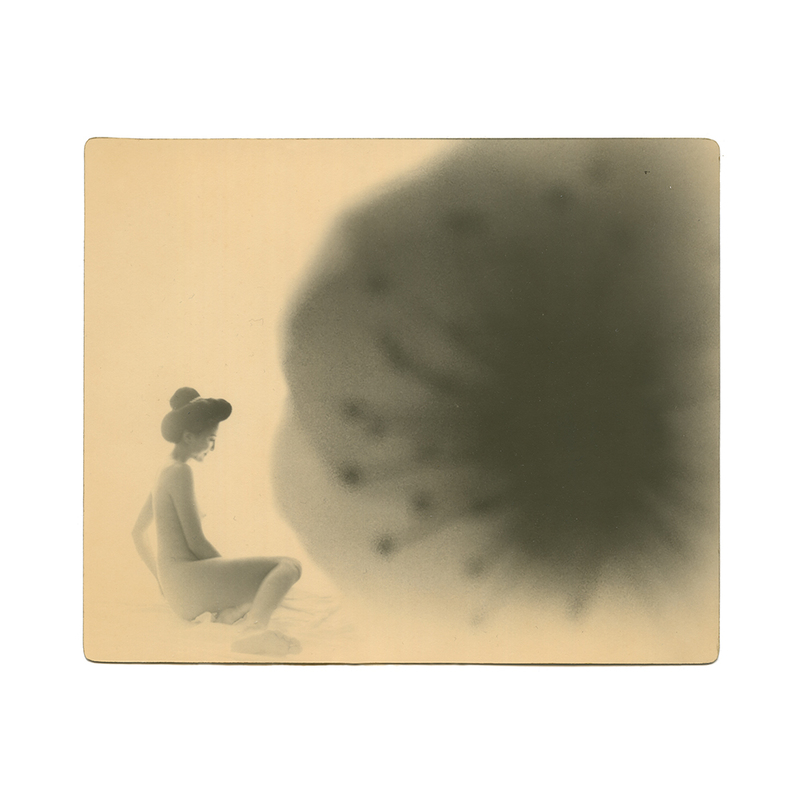 These collected images serve as the basic material for her work in the darkroom where she creates her poetic and suggestive image-objects through elaborate, alternative printing methods. Kajioka regards herself more as a painter/drawer than as a photographer. She feels that photographic techniques help her to create works that fully express her artistic vision. Her images evoke a sense of mystery in her constant search for beauty. The focused, creative and respectful way in which she uses the medium of photography to creating her works seems to fit in the tradition of Japanese art that is characterized by the specifically Japanese sense of beauty: wabi sabi.